This Micromussa has a red center, ringed with orange, and white pinstripes along the outer skirt. A really nice tri-color combination. This WYSIWYG frags has 4 heads. Micromussa lordhowensis was formerly known as Acanthastrea lordhowensis and share the same care requirements as most Acanthastrea. Space should be provided between these corals and their neighbors as that have a powerful sting. Please see below for additional care tips for Micromussa as well as checking out our Top 5 Tips for setting up a reef. 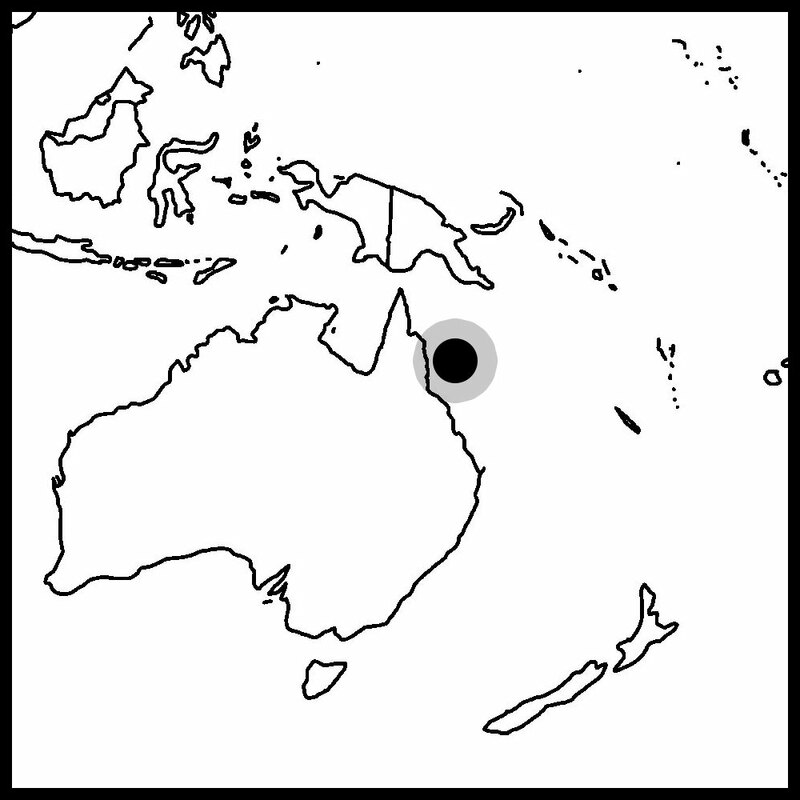 Micromussa are found all over the Indo-Pacific. They are found throughout the islands of the Indo-Pacific including Fiji, Tonga, Solomon Islands, and the Great Barrier Reef. Almost all of the Micromussa we have here at Tidal Gardens is from either Indonesia or Australia. Micromussa are very responsive to light. So far, we have had success growing them under a variety of lighting conditions, however it is clear that any change in light results in dramatic color differences in the corals themselves. Many corals will adapt their color to the lighting conditions provided, however the extent to which Micromussa can change sets it apart. It is possible for them to turn from a red color to yellow in under 24 hours. As for flow and placement, there are a couple of things I look for. Micromussa do not require a ton of flow, so I look to provide just enough so detritus does not settle on them. Most of the time hobbyists place Micros towards the bottom of the tank so it is important that they get enough flow to keep them clean. On the other hand, I think feeding is important for long term health so preferably the flow can slowed during feeding time to allow the coral to grab pieces out of the water column. Micromussa can be fed a mix of meaty foods such as pieces of krill or mysis shrimp. They are relatively small in size so larger pieces of food are not suitable. When I observe Micromussa whether it is lordhowensis or amakusensis, I am looking to see very fat inflated polyps with tentacles constantly extended. We feed a mix of frozen shrimp here at Tidal Gardens. Our blend is pretty basic, mainly mysis shrimp and krill with a little bit of rotifers. You can also feed a high quality dry coral pellet food, but be careful not to overfeed dry food of any kind because it is possible to burn the coral if too much is fed at once. One particular brand I know recommends something like a single pellet per polyp so if you decide to go that route, less is more. In terms of propagation, Micromussa been successfully fragmented however asexual reproduction in this way is a slow process. Despite their appearance, they are relatively slow growing. This is a shame because they are a very uncommonly imported coral and are not seen for sale too often. Propagation efforts would go a long way in increasing the supply of Micromussa.